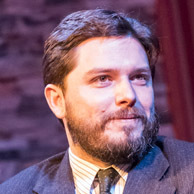 Joey Abarta teaches and performs on the uilleann pipes, the national bagpipe of Ireland. 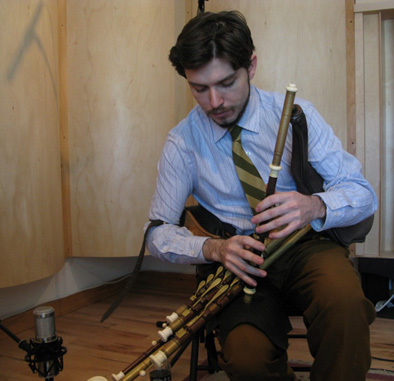 Abarta is recognized for his dedication to researching and performing in the old style of piping, which he learned from master pipers in Ireland, as well as from noncommercial recordings from wax cylinders to 78s. Like many traditional arts in Ireland, the old style of playing has gone out of fashion as a purely solo instrument. Abarta has helped bring awareness back to an instrument once in danger of dying out.Abarta is on the faculty of the Boston Comhaltas Music School (CCE) and president of the Boston Uilleann Pipers Club. He has won two national championships for his piping and placed second in the Fleadh Ceoil na hEireann in Ireland. One of the most challenging things about learning to play the uilleann pipes is the instrument's mechanics, which involve manipulating a chanter, drones, and regulators, in addition to the bellows. Uilleann piping has been male dominated for over 160 years, so Abarta is keen to mentoring Caroline O'Shea. She started on the tin whistle at CCE, later took up the flute, and performs as a member of two Irish bands. Her love of the uilleann pipes dates back to 2010. Aural learning will form the basis of their apprenticeship. In addition to one-on-one lessons, they will attend a piping tionol (weekend piping workshops and performances.) O'Shea, already familiar with Irish tunes, will work on improving her basic technique, ornamentation, and tone. She looks forward to one day being a role model for young female players.